Here’s an outfit I put together for a Jaina Proudmoore costume. There’s no exact match for her shirt, but it’s the best I can do! Pictured is the Ironbark Staff, but, I feel that a staff like the Illusionary Rod would be better suited for a Jaina Proudmoore outfit. 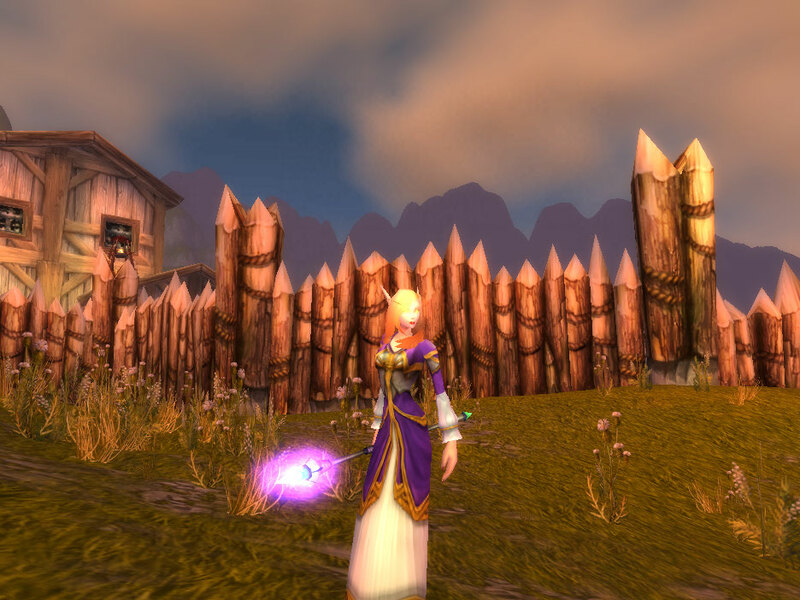 Kirina says: “While Jaina Proudmoore recently had her look updated, this outfit reflects more of her ‘original’ look from Vanilla WoW – especially in the color scheme. 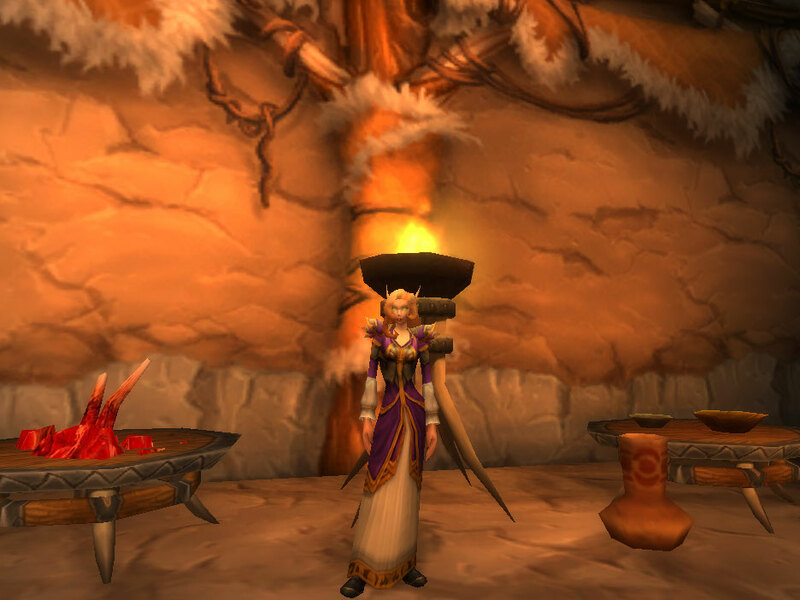 If you have the Sketh’Lon Survivors Tunic and the Soothsayer’s Kilt on your character from questing in Shadowmoon Valley, this is a great outfit to put together for any race – especially for mages!